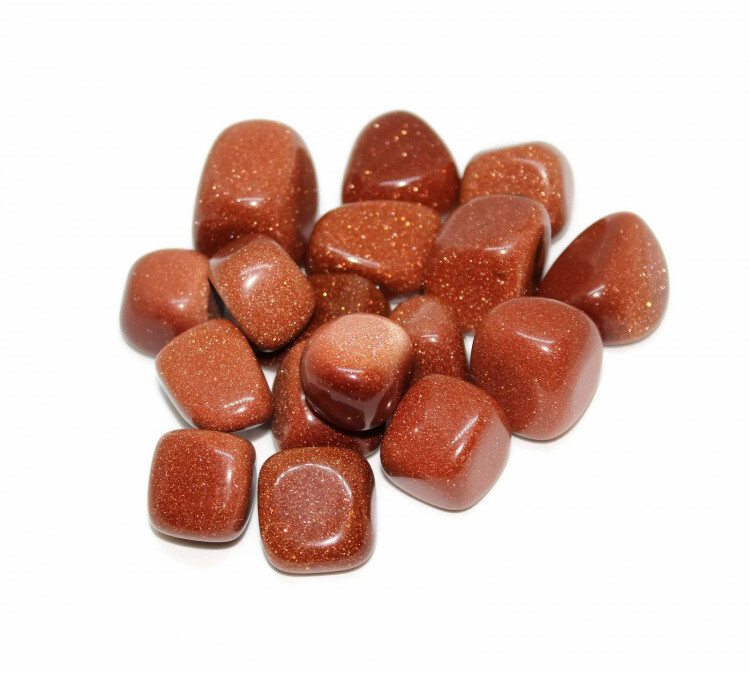 Lovely glittering red Goldstone tumblestones, an incredibly popular decorative tumblestone. 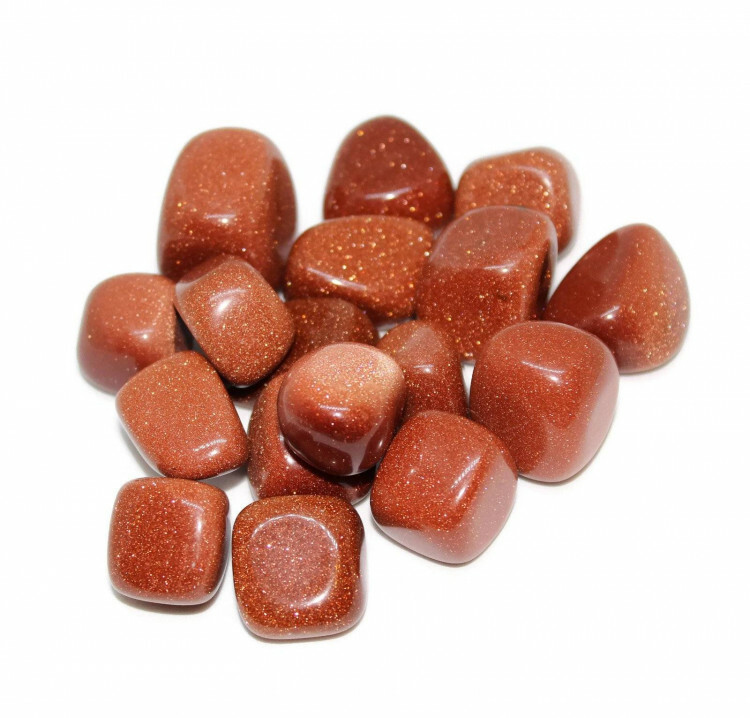 Red Goldstone tumblestones are amazing stones to look at; they remind me of a sandy beach, or a glittering desert baked by the sun. It has been one of my favourite crystals since I first saw it – although it is not truly a crystal or a gemstone, but a man made form of glass. Tumble polishing really shows off the glittering sparkly inclusions of these glass pieces. These Red Goldstone tumblestones are sold in four different sizes – there is some variation in shape and size due to the forming process. We sell a wide range of Red Goldstone products, including tumblestones of various sizes, carvings, cabochons, and more. Please check our Red Goldstone page for a list of our products, and more information about the glass.